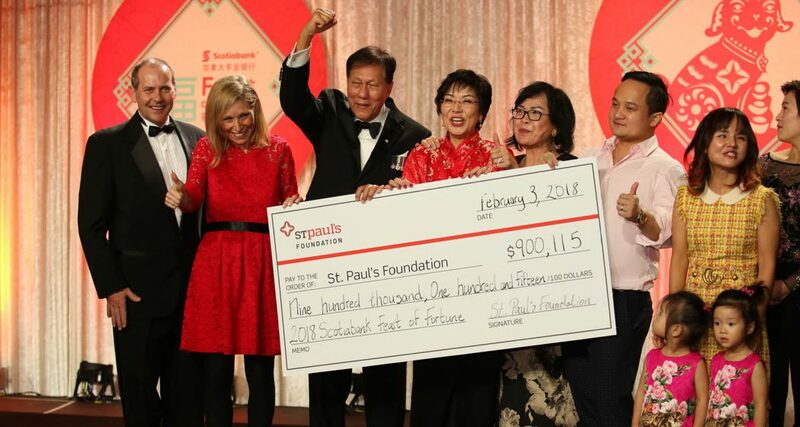 The 11th annual Scotiabank Feast of Fortune gala held on February 3, 2018, raised $900,115 for Mount Saint Joseph Hospital. Funds raised will go towards the purchase of a state-of-the-art mammography machine that harnesses a new technology, tomosynthesis, which has been hailed as a breakthrough in breast cancer detection. This machine will contribute to high-quality breast imaging for women as well as better cancer detection at Mount Saint Joseph Hospital, where upwards of 15,000 breast imaging studies were performed last year. Thank you to our generous attendees, sponsors and volunteers, whose contributions will help us acquire the best equipment available, enabling our doctors to improve cancer detection. With your support we will make a difference in the lives of those affected by breast cancer. Save the Date for the 12th Annual Feast of Fortune: January 26, 2019! Stay tuned to helpstpauls.com/feast-of-fortune for the latest information.